Most of my fiction has at least one thing that I put in purely to amuse myself and Shades of Milk and Honey is no exception. There are a number of Easter Eggs, if you know where to look. Periodically, I’ll post one of these and an explanation for how it got there. Some of them may be amusing, others things may talk about Regency history, still others will just be odd. Since many of them also involve spoilers, they’ll be password protected to keep the unwary from stumbling into them. What sort of things can you look forward to? Here’s a spoiler-free example. I’ve got one more for you today. To access it and any others I post, you just need to know the name of the mare that Jane rides in Chapter 10. A-ha! So the mystery’s been solved! 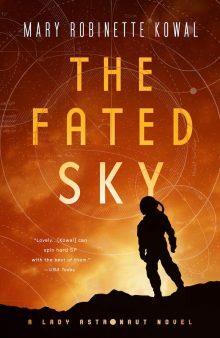 In her review of your novel in this month’s issue of Locus Magazine, Adrienne Martini wondered if this was, perhaps, a clever nod at your colleague and current SFWA partner-in-crime, John Scalzi. Glad to know the real scoop behind the name. Indeed! Scalzi and I met at Readercon in 2006. There’s a fair chance that since I started the novel in 2006, I wrote that line before knowing that he had a bacon fixation. Sigh. My copy has been hijacked by a sister. Off to Amazon to search the book.